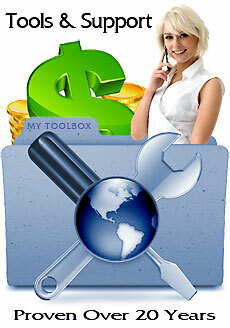 Affiliate tools that have been proven effective and unmatched support services. Once you are logged into your affiliate account, you will find a host of marketing tools that you can employ to promote our services. Our custom photo iframes are our most popular affiliate tool. And years of statistics prove that they are far and away our HIGHEST CONVERTING marketing tool. For this reason, we highly recommend that our affiliates employ this tool as often as possible. To the right on this page you will see an example of a vertical photo iframe. These photos display the most popular, real, active women profiled on our website (determined by the preferences and habits of the male members who use our services) and rotate and refresh each time a page is displayed - so the simple code can be place on multiple pages of your websites and your visitor will see different looks each time they click through or return to your site. As with all of our marketing tools, within your interface you can quickly generate code to quickly copy and paste into your web pages. You can choose horizontal or vertical alignment, size of photos, number of photos, customize the ethnicity (Asian, Latin, European, mix, etc., etc.) and stylize them to your need. Affiliate with somewhat more advanced HTML and CSS skills can even customize their own appearances around your photo iframes. Below is an example of a horizontal photo Iframe - to the right an example of a vertical phto Iframe. This option is largely similar to our photo iframe option with a few exceptions. And, of course, the photos are smaller thumbnails. The actual size of the photos is 50 X 50 pixel. These also display the most popular ladies on our website based upon user data. However, they are provided in a table format and do not refresh (update) as often as our photo iframes. Below are some examples of several thumbnail tables. As with all of our tools, you can easily customize your thumbnail tables to need. Within your marketing tools interface you will also be able to choose and easily generate paste and copy code for graphic banners in a variety of styles, niches and sizes. We will be adding and updating our banners frequently. Within your marketing tools interface you will also be able to create a wide variety of text links that can be customized to your needs, as always. We are always working to improve and expand our affiliate marketing tools. Please contact at any time you have suggestions or need assistance. Don't Delay - Sign Up Instantly TODAY!